Pie for Breakfast, Pittsburgh | Good. Food. Stories. 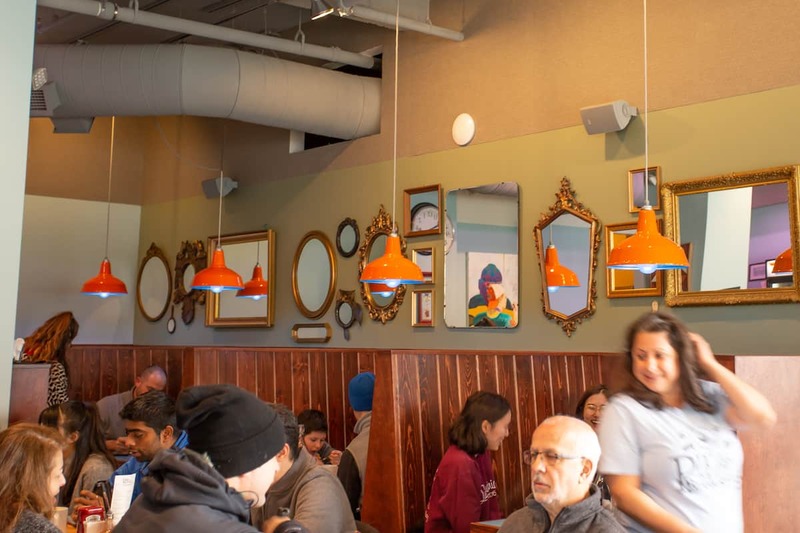 Nestled on the corner of North Craig and Bayard next to its siblings Butterjoint and Legume, the exuberant breakfast (and lunch) joint Pie for Breakfast completes the trifecta of Pittsburgh restaurants run by Trevett and Sarah Hooper. It also makes the argument that you could spend all day and night along this little stretch of Oakland real estate. Have a late brunch at Pie for Breakfast, go to the Carnegie Museums and spend the day (as we did), then return to Butterjoint for cocktails and hit up Legume for dinner. 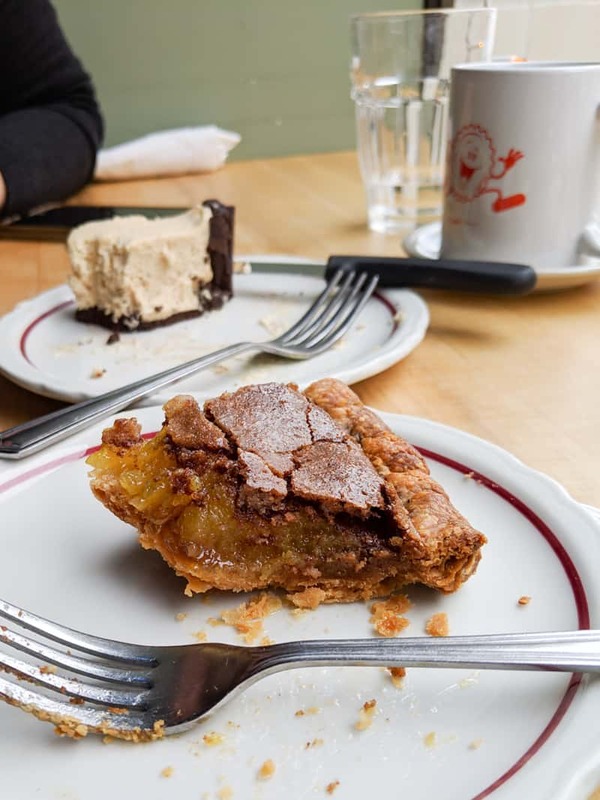 But even if you don’t have time to spend all day in the neighborhood, Pie for Breakfast stands on its own merits as a cheerful diner-style stop for all kinds of sweet and savory cravings. To answer the question on everyone’s minds: Yes, you absolutely should have pie for breakfast here. It’s not the only thing you should stop in for, but, come on. It’s the name of the restaurant—why wouldn’t you? Even more importantly, whatever you do, don’t skip a piece of the peanut butter pie if it’s on the menu. The creamy peanut butter filling is whipped and light, not overwhelming, and just sweet enough to play counterpoint to the dark chocolate crust. Even if you need to order two slices to try two different flavors, and even if you have to order a to-go box at the same time as your pie, don’t sleep on it. And for a second slice, if you’re contemplating something different, your eyes might alight on vinegar pie. It’s one of those Appalachian recipes that sound too weird to be good, but is actually something born for those with an extreme sweet tooth. Using apple cider vinegar instead of any actual fruit, the filling sets into an apple-scented, slightly jelly-like custard that’s crunchy on top from caramelized sugar and paired with a flaky lard pie crust. Along with this regional recipe, Pie for Breakfast’s savory signature item is its salt-rising bread. Similar to sourdough, the bread ferments with natural bacteria—not yeast nor salt!—and has a distinctively funky smell as it rises. Yet the baked bread itself is comfortingly mild, with a soft but dense crumb. 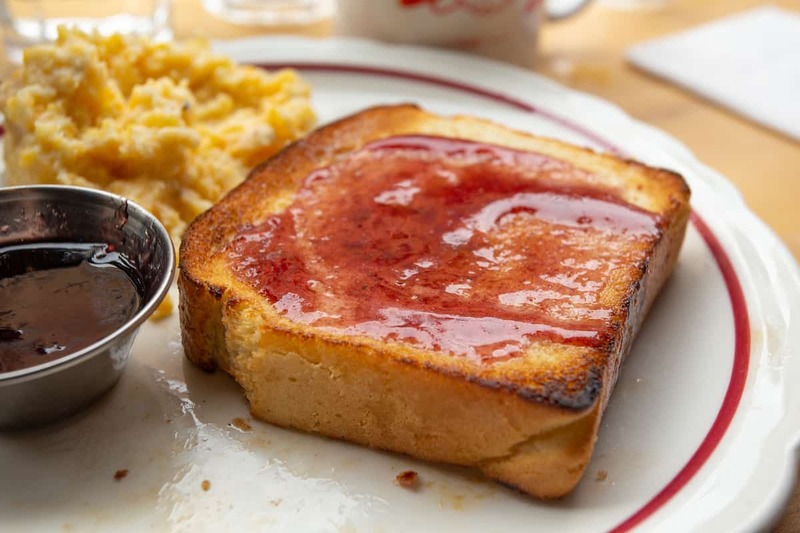 Skip the housemade Concord grape jelly and enjoy the bread on its on merits—each slice only needs the slick of butter to shine. As a savory breakfast fan who’s been known to eat a tuna melt as my first meal of the day, I very much appreciate that Pie for Breakfast features an entire section of Meaty Entrées that supplement the usual eggs and breakfast meats on the menu. 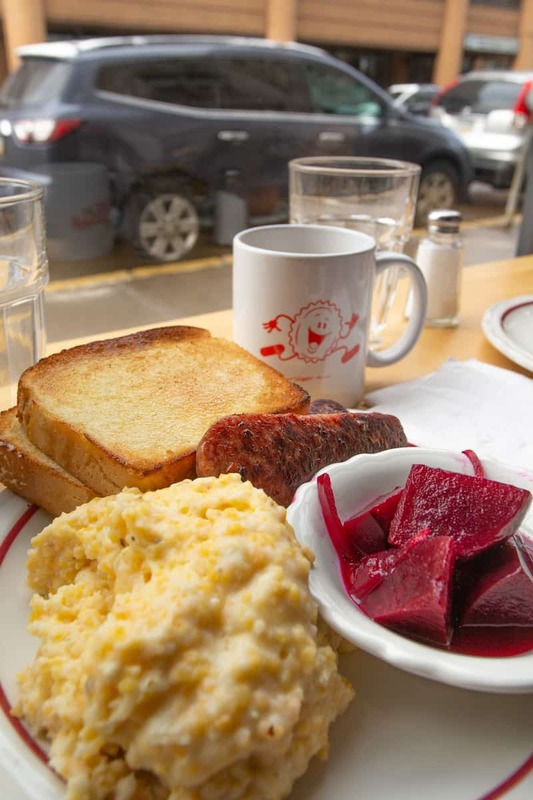 All sausages are made next door at Legume, and all meats and eggs come from local farmers. 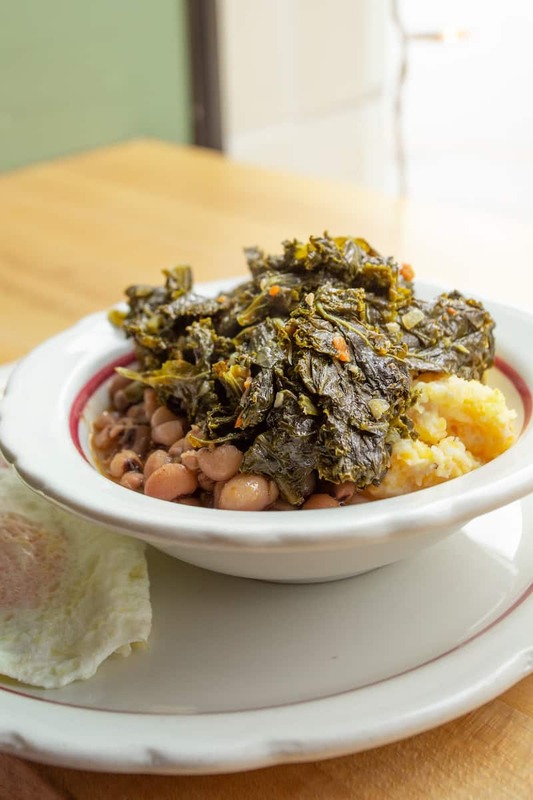 So it makes sense that, as a Pittsburgh spot, there would be house-smoked kielbasa that begs to be partnered with sides of pickled beets and grits or braised greens. Could a western PA girl feel more at home in this diner? As a no-reservations place, the weekend waits can be on the long side. 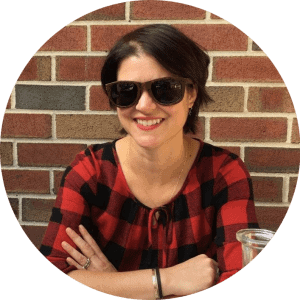 But if you’re lucky enough to grab a window perch for people- and dog-watching while you scarf down your pie and coffee, Pie for Breakfast can be one of the best starts you’ll ever make to your day. 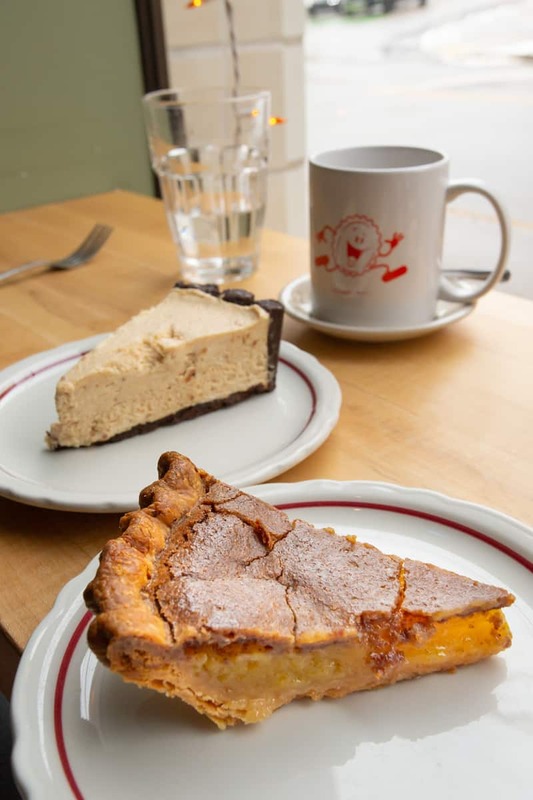 Pie for Breakfast, 200 N Craig St. Pittsburgh, PA, (412) 315-7342. Open daily from 8:00 am—3:00 pm. No reservations.